I have long been classified as "geeky." Over the years, I have played Dungeons and Dragons, collected Magic the Gathering cards, and extensively read fantasy and science fiction novels. I love board games and computer games. In more recent times, I have dedicated a large portion of my free time to brewing and enjoying beer - becoming a "beer geek." In fact, one of my nicknames in middle school was "nerd." It should come as no surprise that my sense of humor runs in a similar vein. xkcd is an online comic written by Randall Munroe, a former physics major who worked on robots at NASA. Randall doodled a fair amount during his younger days and the doodling grew into a full-time job as a comic illustrator. 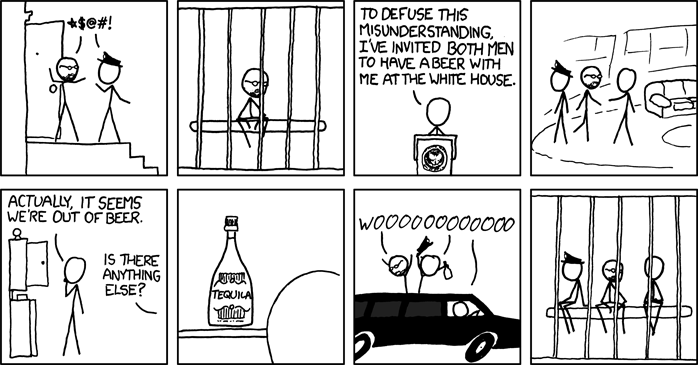 xkcd is a word with no phonetic pronunciation and fits at the title of a comic on sarcasm, language and math. I was first exposed to it by a co-worker, Ben, who has followed it for years. A quick search on the word "beer" revealed a few interesting comics loosely related to the topic that I wanted to share. 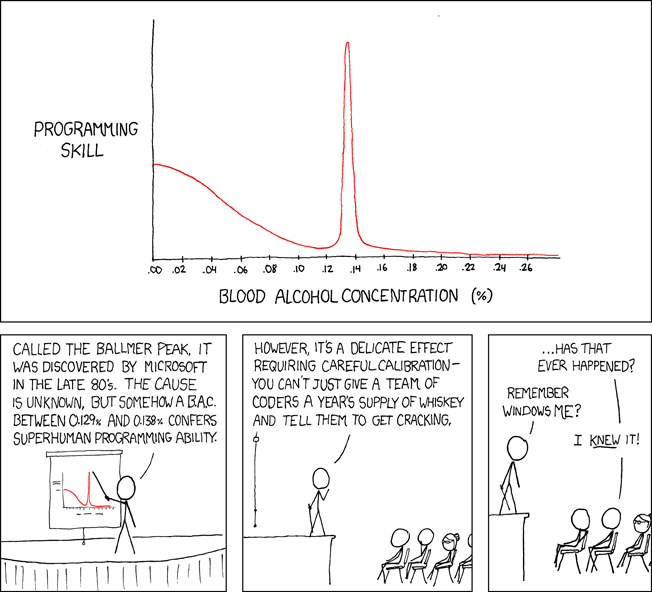 #323 - As a computer programmer, I have often wondered about this "study"
I hope you enjoyed the xkcd comics and you look further into Randall's interesting view of our world.